Do Hashtags Mean Engagement on Twitter, Instagram? How does the use of hashtags affect engagement on Twitter and Instagram? Analytics and reporting firm Locowise studied the following from Aug. 1 through Oct. 31: more than 1,300 Twitter accounts with more than 60 million combined followers and 600,000 tweets during the period; and more than 1,500 Instagram accounts with more than 300 million followers and more than 135,000 posts. 55.8 percent of tweets did not include hashtags. 4.75 percent had three or more hashtags. Adding hashtags had no effect on engagement rates. In fact, tweets without hashtags outperformed tweets with hashtags. 13.8 percent of posts had no hashtags. Posts that used three hashtags yielded the highest engagement rate, 3.03 percent. Posts were no hashtags were barely behind, at 3.02 percent. 49 percent of posts contained four or more hashtags, despite engagement rates declining after three. Twitter may be famous for hashtags, but they do not seem to contribute much to your engagement. Do not spend too much time thinking about the perfect hashtag to use in your tweet. Our recommendation to focus on the quality of content counts for Twitter, too. If there’s a hashtag that is relevant and that stands out, do feel free to use it once in a while. Do not use more than one hashtag per post too frequently, though, as the engagement rate drops dramatically. Just like on Instagram, always think about what hashtags fit your brand. You should not include any irrelevant hashtag into your posts–that is spammy behavior that will be very negative to your brand and will result in lower engagement. Be comfortable to go without hashtags when there’s nothing relevant and fitting. You will not lose out on extra engagement. Focus on the quality of content itself. Your content needs to be interesting. It needs to be remarkable. It needs to be funny, entertaining, inspirational, motivational, informational and even educational. Find ideas that work. Take a look at your past performance to see what type of imagery and videos worked best. Analyze your competitors through a tool such as Locowise in order to figure out what performs for them and get inspiration from their work. If you do find a relevant hashtag or two, feel free to include them. But don’t go over three hashtags per post. Any benefit of using hashtags decline after three hashtags. 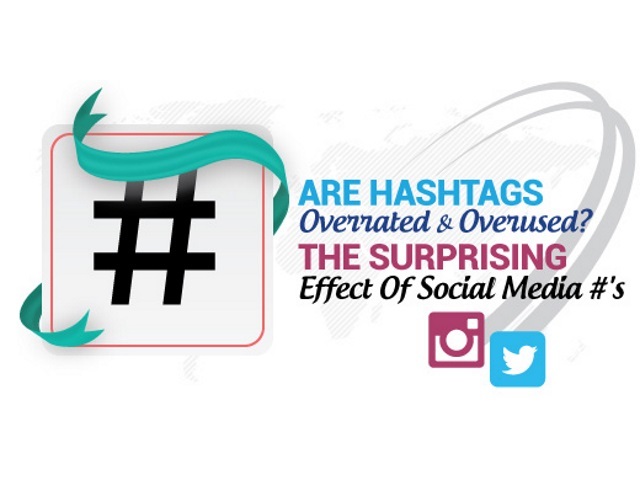 Readers: What are your thoughts on hashtag usage on Twitter and Instagram?